Some of my Favourite Handmade Products from Across the UK! Britain has been seeing something of a handmade renaissance over the past few years. An increasing culture of customisation and creativity has come from a number of factors including wider access to craft supplies through small craft shops and growing numbers of hobby superstores offering everything from acrylic paints to yarn has made it much easier to try at home. In the past couple of years, we’ve also seen an explosion in the ways in which ideas for hand-making can be inspired and shared. Popular website Pinterest has seen a flock of people joining to get inspiration for their own home projects while online handmade market Etsy has allowed people to search out hand-crafted products more easily than ever before. To get a feel for the kind of wonderful creativity that is available across the country, take a look at our compilation of some of the most beautiful products currently on offer from around the UK. One area that has seen a real growth amongst hobbyists and professional designers is paper craft. 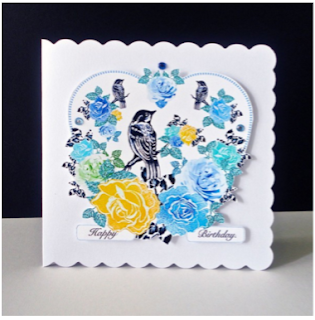 The design and creation of unique, handmade cards for all occasions has taken off like never before and nowadays there is no need to risk giving the same flat store-bought greeting as someone else for a special event. Happy Birthday - Handmade Card. From miniature paintings through to intricate cut-work, cards can be anything from simple to incredibly detailed. No matter what your need for a card, you’ll be able to find something beautiful and truly unique handmade for you. As more of us take on additional gadgets as part of our everyday lives, the hand-crafters of Britain step up to provide ways to keep them safe in style. 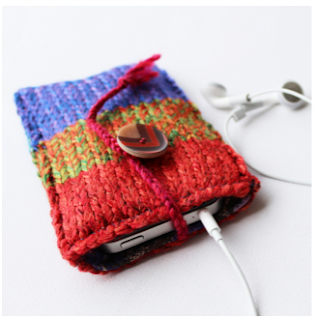 Knitted smart phone sleeves, hand-felted e-reader cases and quilted sleeves to protect your tablet pc fashioned from vintage fabric are springing up all over and bringing a unique touch to your tech. Some crafters are also branching out into leather work, and a bespoke leather pouch for your gadget can be commissioned for under £50. There has long been a market in vintage and repurposed clothing, but a growing number of designers are now creating clothing from scratch. Using interesting fabrics, hand-cut patterns and made-to-measure sizing, it’s now possible to get the kind of bespoke tailoring your ancestors would have expected before the ready-to-wear revolution. One area that is growing in popularity amongst buyers and makers alike is yarn craft. Knitting, crochet and weaving are all now popular ways to create attractive garments from interesting fibres. Hand-made accessories such as socks and scarves take us back to our childhoods in the best way. Jewellery has long been the preserve of high-street gold- and silversmiths, but individual hand-crafters are taking the art back from the big creators. 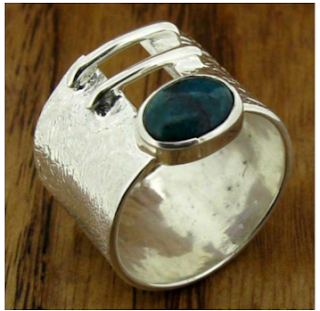 One of the benefits of handmade jewellery is the ability to choose something made from a material you would not normally find in a commercial store. Whether it's pendants made from children’s toys or rings forged from unusual metals or even carved from wood, there seems to be no limit to the imagination of creative hand-crafting jewellers. While in our grandparents’ day almost all of what was in the home would be handmade, the advent of department stores and cheap mass-production meant that home accessories and soft furnishings became something you bought rather than made. As large brands such as Habitat and later Ikea reduced prices, it hardly seemed worth making your own or seeking out hand-crafted products. The pursuit of uniqueness and originality in home furnishings combined with a higher value placed on recycling has led to some interesting developments in hand-made home wares. Cake stands from mismatched plates, glasses made from re-purposed wine bottles and lamps made from car parts have become some of the most desirable home items in the UK. The hand-makers of Britain have grown in confidence and expanded into creating beautiful objects we can wear and display. These items bring a real touch of uniqueness to our homes and lives.